Get ready for a full day of sightseeing on the 18th (Wed): see the vivid underwater world at Ningaloo Reef. To find where to stay, reviews, ratings, and other tourist information, use the Ningaloo trip itinerary planner. Sydney to Ningaloo is an approximately 11-hour flight. You can also drive. The time zone difference moving from Australian Eastern Standard Time (New South Wales) to Australian Western Standard Time is minus 2 hours. Traveling from Sydney in September, you will find days in Ningaloo are somewhat warmer (35°C), and nights are about the same (15°C). Wrap up your sightseeing on the 19th (Thu) early enough to travel to Perth. 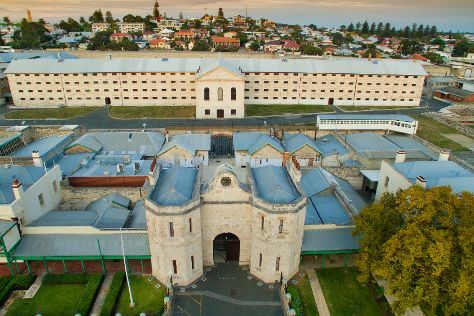 Deepen your sense of the past at sights like Fremantle Prison and The Bell Tower. You'll enjoy a bit of beach vacationing at Cottesloe Beach and City Beach. Explore the numerous day-trip ideas around Perth: Caversham Wildlife Park (in Whiteman) and Dolphin & Whale Watching (in Mandurah). There's still lots to do: explore the activities along Swan River, contemplate the long history of The Perth Mint, stop by Willie Creek Pearls Elizabeth Quay, and pause for some photo ops at Kings Park War Memorial. Plan a trip to Perth easily and quickly by telling Inspirock to suggest an itinerary. Explore your travel options from Ningaloo to Perth with the Route module. Traveling from Ningaloo in September, expect Perth to be little chillier, temps between 24°C and 9°C. On the 24th (Tue), wrap the sightseeing up by early afternoon so you can travel back home.